The story of Agastya, a north Indian sage, crossing the Vindhya hills and visiting south India (never to return), is well known. It has given rise to a proverb, Agstya-yātrā in Bangla and maybe in other north Indian languages. Like all legends it is without date. So, it has been interpreted as an allegory of the ingress of the north to the south, or, as a recent historian has said, ‘evidence of Aryan speakers’ movement towards the south’ (Noboru Karashima, ‘Beginnigs of south Indian history’ in: Noboru Karashima (ed. ), A Concise History of South India, New Delhi: Oxford University Press, 2014, p.26). From about the third century BCE, religions that were born in north India spread to the south. Interestingly enough, two heterodox religions, Buddhism and Jainism were first to reach the Deccan and further south; the brahmanical religion (Vedist) was to reach later. There are enough archaeological findings to suggest so. The most conspicuous of the north Indian religions was Buddhism, though traditionally Jain migration is said to have started as early as the time of King Chandragupta Maurya (fourth century BCE). 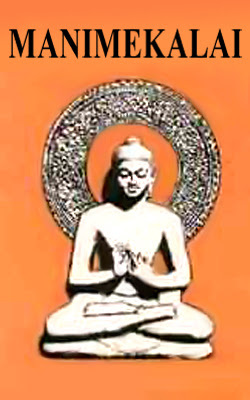 The reflection of both Buddhism and Jainism is found in old Tamil literature. There are several long narrative poems that seek to establish the superiority of either Buddhism or Jainism. The brahmanical religion did not find roots in the south before the first century BCE. Consequently, in the Common Era we find specimens of works belonging to these three religions, written not in Sanskrit, but in Tamil. 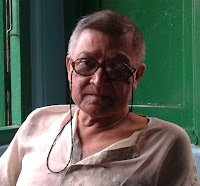 Historians of Tamil literature or of Indian literature as a whole (one such ambitious work is Sisir Kumar Das’s A History of Indian Literature 500-1399, New Delhi: Sahitya Akademi, 2005) seldom, if at all, mention the fact that the polemics in the Manimēkalai (The Jewel Belt) , the Nilakēci (The Blue-Haired), and similar works contain strong denunciation of several philosophical systems that came from the north to the south. Tolerance is now projected as the hall mark of Indian culture. Contrary to this notion, there seems to have been no love lost between the Indian philosophical systems and Jainism as well as Buddhism in the south. Apparently, Buddhism and Jainism were both imported in their northern garb. Nevertheless, in the course of time, south India produced most eminent Buddhist logicians, such as Diṅnāga (c 480-540 CE). The Jains too in their turn gave birth to such theologians and philosophers as Kundakunda (first century BCE), who earned all-India fame in the Common Era. It is to be kept in mind that ‘Tamil can claim one of the longest unbroken literary tradition of any of the world’s living languages’ (Kamil Veith Zvelebil, Tamil Literature (A History of Indian Literature, Volume X Fascicule 1, Wiesbaden: Otto Harrassowitz, 1974), p.2). Nota Bene (Note Well): ‘the world’s living languages’, not just India’s. To express this terminologically, we may say that Tamil epic texts are not itihāsas, i.e. large narrative poems (large in character, in events, in setting, in effect) of the traditional heroic past, but rather longer or shorter mahākāvyas. . . . They are very different from each other and, strictly speaking, some of them should hardly be called epics in the narrower and more technical sense at all. But they are not as radically different from the accepted concept of the epic as, say, Dante’s Divine Comedy which has also been called an epic. (Zvelebil, 1974, p.16). The Maṇimēkalai [Ilanko Ādigāl and Sattanar, Maṇimēkalai, trans. Prema Nandakumar, Thanjavur: Tamil University, 1989] (± 550 CE) is what in Tamil tradition is called an epic. So is the Nīlakēci (± 950 CE). The first is the story of the wanderings of a Buddhist lady ascetic called Maṇimēkalai. It is said to reflect ‘almost exactly the ideas of Diṅnāga, the founder of Buddhist logic’ (Zvelebil, p.141). Among other things the epic Maṇimēkalai contains the first known list of ṣaṭ-tarkī, six systems of philosophy based on argument: Lokāyata, Buddhism, Sāṃkhya, Nyāya, Vaiśeṣika, and Mīmāṃsā (27.78-80). Instead of the āstika/nāstika division of the philosophical systems (based on the brahmanical criterion of adhering or not adhering to the Veda), here is a secular division of systems founded, on the one hand, on argument and the other (presumably) on faith. Maṇimēkalai, the heroine, enquires of the basic tenets of all philosophical systems – Sāṃkhya, Mīmāṃsā, etc. – and finds all of them wanting in substance. In the debates, Buddhism ultimately proves to be the victor over all Veda-abiding systems as also Jainism and materialism with its two schools, Bhūtavāda and Lokāyata (27.272-73). The Maṇimēkalai then, besides its other merits, is the earliest work of doxography (collection of views of ancient philosophical schools, now lost). The earliest doxographical work in Sanskrit so far known to us is the Ṣaḍ-darśana-samuccaya by a Jain savant, Haribhadra, which was composed in the eighth century CE, long after the Maṇimēkalai. The Nīlakēci, too, is a doxographical work of some importance, for it records several doctrinal aspects of southern Buddhism, probably not to be found anywhere else. The inclusion of the Ᾱjīvikas is also significant. No other heterodox view that was current in the Buddha’s lifetime is mentioned. All of them seem to have become extinct in the Common Era. With the passage of time, religious and philosophical systems that had their origin in north travelled to the south. It has already been mentioned that Jainism perhaps came first with Chandragupta Maurya (fourth century BCE), followed closely by Buddhism (third century BCE); brahmanism with its emphasis on varṇāśrama-dharma was late to arrive (first century BCE). The Ācārakkōvai ‘belongs to the brahmanical school and is a digest of ideas from the dharmasastra’ (Y. Subbarayalu, ‘Sangam and Post-Sangam Literature’ in: Noboru Karashima (ed. ), A Concise History of South India, New Delhi: Oxford University Press, 2014, p.46). There is also a Jain work called Silappatikāram, also spelt Cilappatikāram (The Lay of the Anklet) (c.450 CE) by Ilangovadigal, supposed to be a Chera prince. ‘Unlike the Silappatikāram [a Jain kāvya], the Maṇimēkalai [a Budddhist kāvya] is quite outspoken in religious propagation and underlines the fact that there were lots of polemical disputes and discussions developing among adherence of rival religions’ (ibid., pp.46-47). The Jains, however, were not to be left behind: the author of the Nīlakēci (Neelakesi, edited, translated into English and published by A. Chakravarti, Kumbhakonam, 1936), although Jain and hence tolerant by conviction, spares no religion or philosophical system. In the last part of the work (Section IV Chapters 1-10, pp.136-336), Nīlakēci, the Jain nun, deals with no fewer than ten doctrines: 1. Dharma Urai (Tarumavurai, exposition of the [Jaina] dharma), 2. Kuṇḍalakēci-vāda (the doctrine of Kuṇṭalakēci, i.e., the Buddhist doctrine preached by a lady Buddhist ascetic), 3. Arka-candra-vāda (another Buddhist doctrine), 4. Mokkala-vāda (the doctrine of Mokkalaṉ, Pali Moggallāna, Sanskrit Maudgalyāyana, refers to the Buddhist doctrine of momentariness, kṣaṇikavāda), 5. Buddha-vāda, 6. Ājīvika-vāda (doctrine of the Ājīvikas, a heterodox sect, now extinct), 7. Sāṃkhya-vāda, 8. Vaiśeṣika-vāda, 9. Veda-vāda (Mīmāṃsā), and 10. Bhūta-vāda (Pūtavātam, materialism). It has been observed by the editor, A. Chakravarti, who contributes a detailed introduction to the work, that the major non-Jaina schools of philosophy: Śaṅkara, the Śaiva and Vaiṣṇava Saints, Nāyaṉmār and Āḻvār, are not mentioned in the work. Chakravarti thinks that this is because they did not yet exist as opponents of the Jaina doctrine, so that the polemical work Nīlakēci must belong to the period before their emergence. This may place the composition of the Nīlakēci in the 5th or 6th centuries’ (Filliozat p. 105). Modern scholars, however, prefer to date the work much later (tenth century CE. See Zvelebil p.139). The doctrinal aspect of materialism (of the pre-Cārvāka kind) is more or less the same in both the epics: unlike the Cārvākas, earlier materialists in India relied on one instrument of cognition only, namely, perception, while the Cārvākas admitted the validity of inference up to a certain extent (in so far as it was based on and/or was verifiable by perception). There are other differences between the pre-Cārvākas and the Cārvākas, which can be discerned from later evidence (for details see R. Bhattacharya, ‘Development of Materialism in India: the Pre-Cārvākas and the Cārvākas’, Esercizi Filosofici 8, 2013, pp.1-12. (2013a). ISSN 1970-0164. Link: http://www2.units.it/eserfilo/art813/bhattacharya813.pdf). The Maṇimēkalai contains the first ever description of Lokāyata as a philosophical system, not a mere śāstra of disputation. In the Pali and Sanskrit Buddhist tradition disputatio is the only meaning of Lokāyata. The Maṇimēkalai refers to no book of disputation but specifically mentions Lokāyata as a separate school of materialism, different from bhūtavāda. One word more. Tamil epics have no heroes; they have heroines. There are no scenes of bloody battles, but only battles of ideals, both religious and philosophical. The heroines, whether Buddhist or Jain, are self-confident, vocal, and always prepared to take part in a debate. They roam about the whole Tamil land, disguised as male. Social historians have detected ‘indications of matrifocal and matripedestal traditions in the sources, indicating different cultural practices within the Tamil macroregion. The post-Sangam literature (c. fourth-sixth centuries CE), marked by the didactic works and the epics, points to influences from outside the region in the form of Jainism and Buddhism. . . . However, the new ideas presented by the Sramanic traditions were eclipsed in the early medieval period with the growth of the Brahmanical religion in the region’ (R. Mahalakshmi, ‘Women in premodern south Indian society’ in: Karashima (ed. ), p.115). Maṇimēkalai (The Dancer with the Magic Bowl), trans. Alain Danielou with the collaboration of T.V. Gopala Iyer, New Delhi: Penguin Books, 1993. Maṇimēkalai, trans. Prema Nandakumar, Thanjavur: Tamil University, 1989. Lakshmi Holmstörm, Manimekalai/Silappattikasam, Hyderabad: Orient Longman, 1996. No other edition or translation of the Nīlakēci excepting the ones by A.Chakravarti is available. The 1936 edition has ben reprinted several times. Both the text and the translation are available on the net. Miyamoto Jō, Lōkāyata in Tamil, Journal of Indian and Buddhist Studies, Vol. 55, No.3, March 2007, pp.1131-1135. G. Suryanaryana Sastri, The Manimekalai Account of the Sankhya, Journal of Indian History 8 (1929) pp.322-327. G. Suryanaryana Sastri, Buddhist Logic in Manimekalai, Journal of Indian History 9 (1930) part iii. N. Vanamamalai, Materialist Thought in Early Tamil Literature, Social Scientist, Vol.2 No.4 (November 1973), pp.25-41, also available on the net (JSPOR). Other sources have been mentioned in the text of the lecture within parentheses. Acknowledgements Chayan Samaddar, Prabir Gangopadhyay, Sunish Kumar Deb. The usual disclaimers apply.